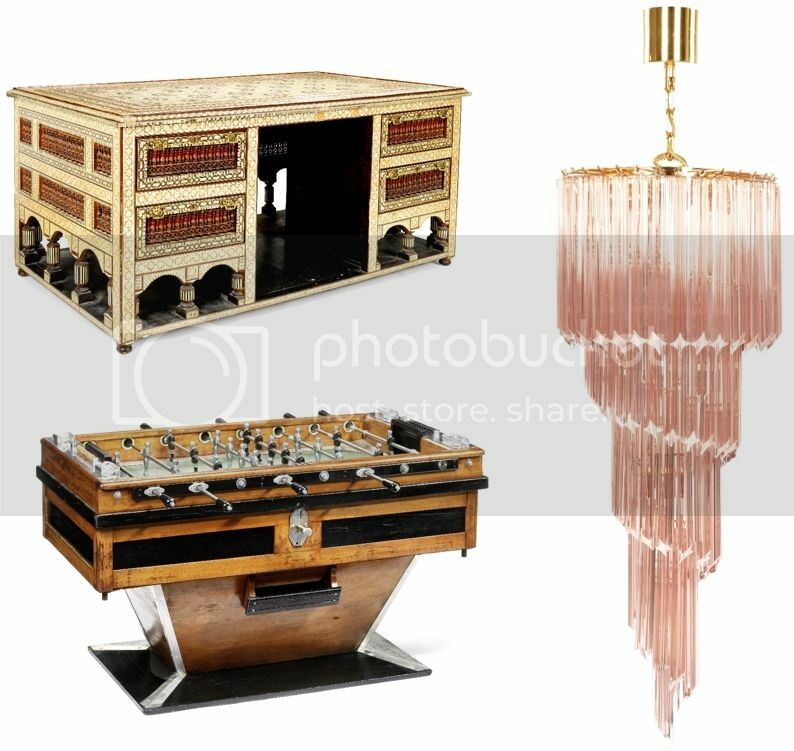 Bonhams’ first HOME & Interiors sale will feature everything from an impressive Syrian mother-of-pearl inlay desk, estimated at £3,000-5,000, an Italian pink glass chandelier (1,500-2,000), to an antique French football table (£3,500-4,000). It will take place on 23rd February at Bonhams Knightsbridge. The sale brings the one-off pieces that it can take years to find together into one sale. It is the first of a new series of monthly auctions dedicated to bringing art and antiques together across all eras of interior design. Each sale will offer a diverse selection of up to 800 lots which will give the opportunity to mix period pieces with more contemporary designs. “We have specially conceived the HOME & Interiors sales for people who feel uninspired by mainstream shops and want to have wider access to a diverse range of individual pieces,” said Mark Wilkinson, Bonhams Director of Decorative Arts. Bonhams specialists will construct room-set displays that will be open on weekends to inspire viewers to visualise how their finds could look together. They will also be on hand to advise beginners on how to bid at auction. New-look catalogues, which will include Bonhams Magazine-style features, will accompany the sales. “Expect to see how an 18th century portrait would look above an Art Deco sideboard, or an Art Nouveau lamp lighting up a Chinese porcelain vase,” said Mark Wilkinson. Each event will be loosely structured around its own theme, with the February sale focusing on furniture, works of art, Old Master paintings and silver. Works on sale will also feature an 18thcentury classical river landscape, estimated at £3,000-5,000 and an Italian school pair of decorative still life panels, estimated at £2,500-3,500.